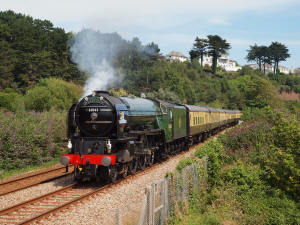 Our most famous steam journey, known as the 'Torbay Express', departs from Bristol during the Summer months, picking up at Weston Super-mare and Taunton heading for Dartmouth, the heart of Devon as seen on BBC Coast. Torbay Express offers the luxuries of Premier Dining, First Class and Standard Class to ensure nobody misses out on a wonderful experience. 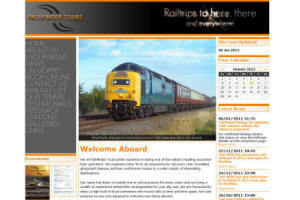 Pathfinder Tours offer rail tours with a variety of traction, Diesel, Electric and Steam. They offer a variety of interesting destinations, both famous and less well known across the UK. Often tours are offered to the rail enthusiast, journeys down forgotten past routes but still offering the luxuries of Premier Dining, First Class and Standard Class.